There is a story behind May’s blanket. It will be a gift for my dad. When I was a little girl, my bedroom was above the garage. It would be late at night when my dad would get home. I could hear the garage door open and close. I always ran downstairs and we would watch an episode of the original Star Trek on tv together. He knew it was late and that I should be asleep in bed. He still always let me stay up to watch that with him. Now I’m an adult and have children of my own. Most of my children are adults. I hope they have some special memory like that. 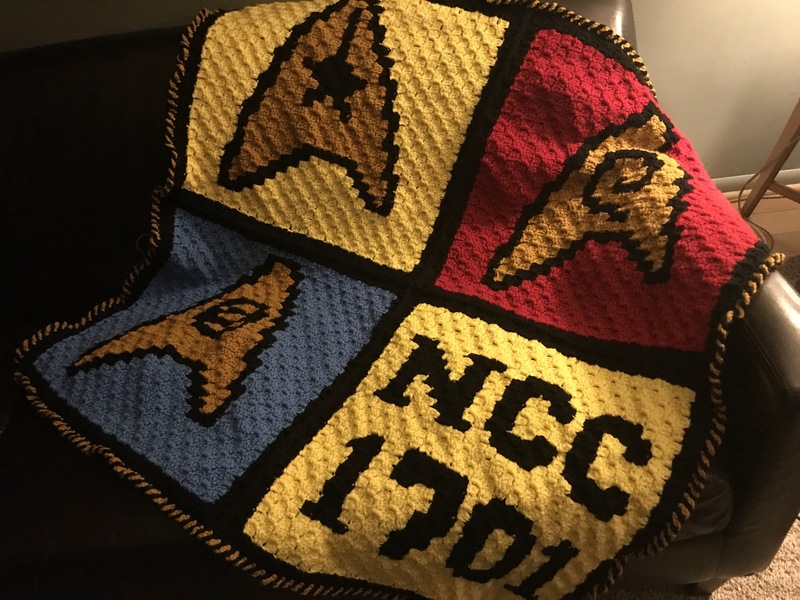 I also hope that this lapghan keeps my dad warm on cold winter nights and that he can feel the love in every stitch.